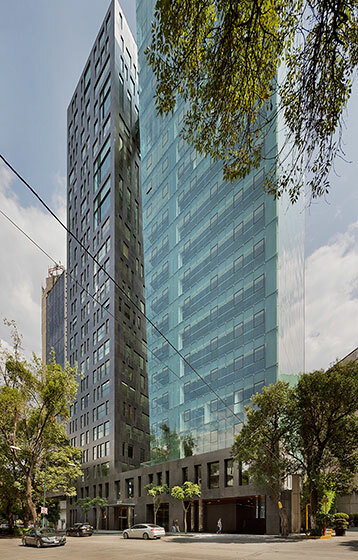 The plot of land is an irregular polygon of 1,000 m2 located in Mexico City, in the south part of the Polanco district, linked by Avenida Arquímedes and Mexico’s City most important avenue: Paseo de la Reforma. 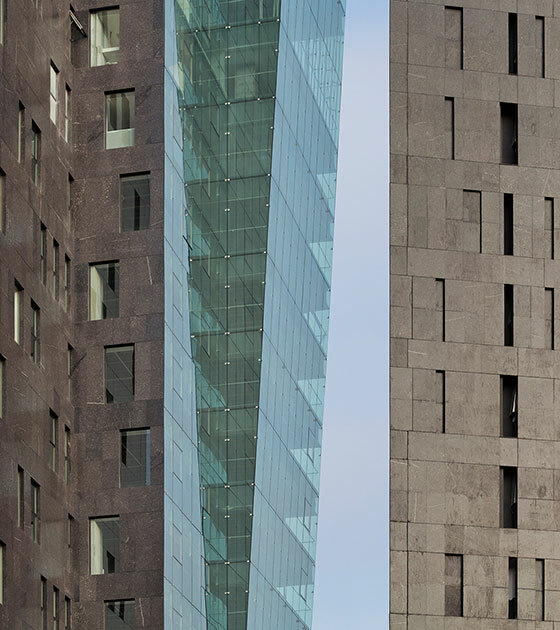 The close volumetric tie existing between both towers, together with the materials’ dialogue, was conceived under the concept of duality: Two independent elements complement each other, one does not exist without the other. 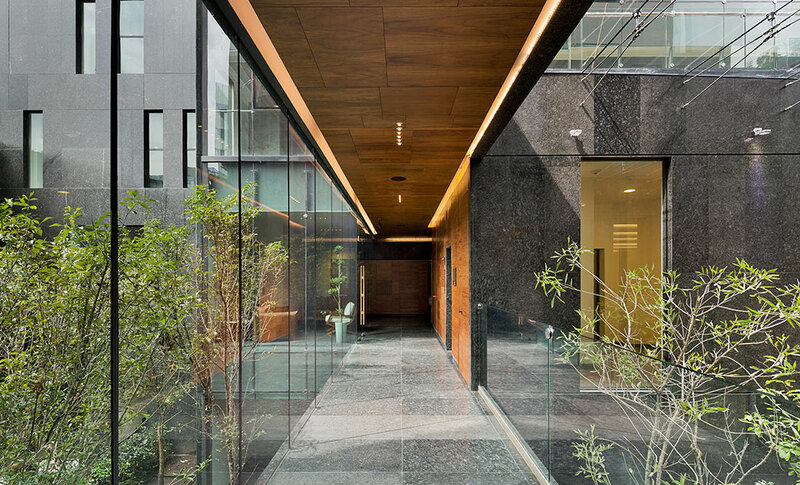 The building is conformed by two independent vertical elements with a shared basement in two levels allocated for common areas, access and reception. Below, six underground parking levels. 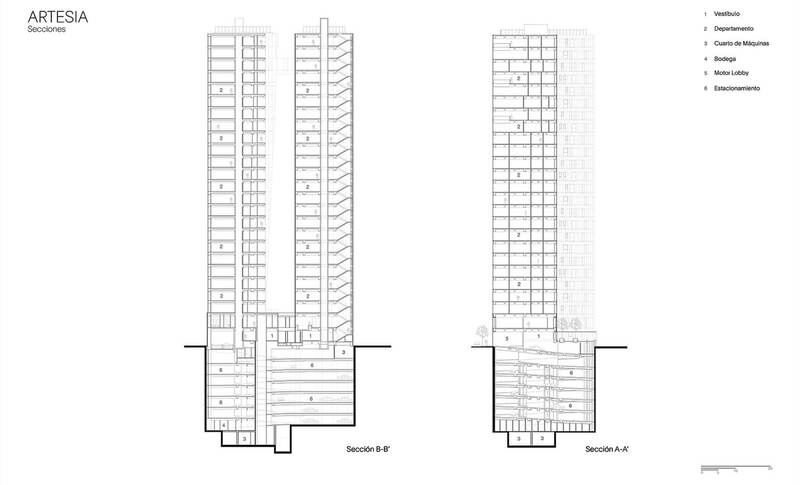 Vehicle and pedestrian access are located in the ground floor, designed as a transition space, since the underground elevators also debouch here and, from this floor, independent elevators set about each of the towers. 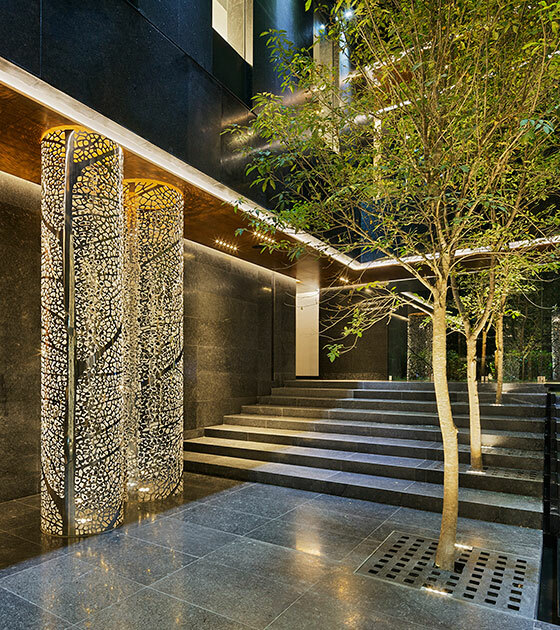 On the first floor we find common areas such as: swimming pool, gym, beauty parlour, meeting room and children’s playground. 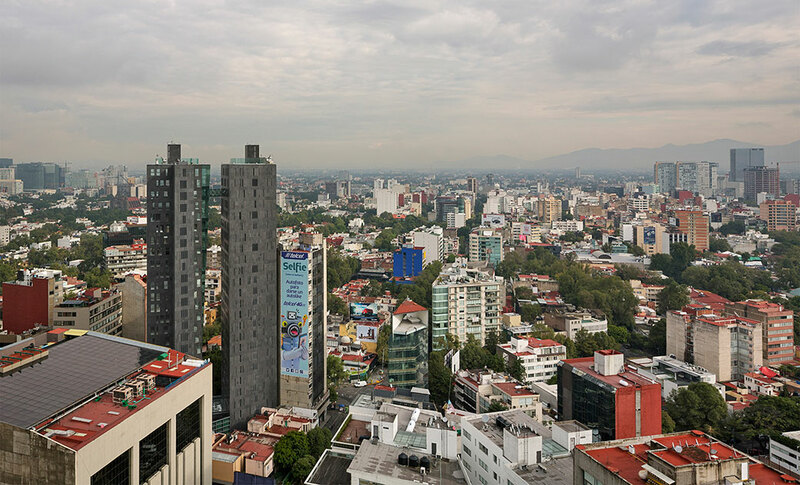 It is from the third level that the two towers will rise independently, with an aggregate of 23 floors achieving a total height of 90 m from the sidewalk. 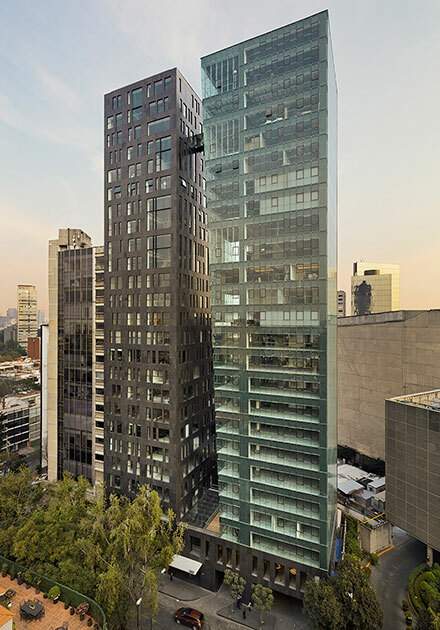 Tower “A” has a regular plant with standard units of 300.50 m2 with black granite covering over prefabricated concrete basis. 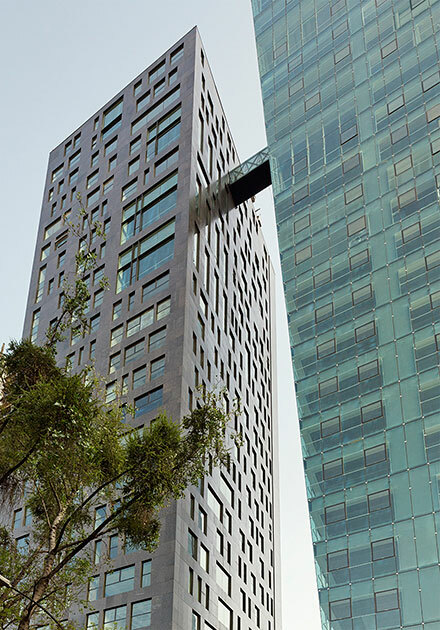 Tower “B” has a glass-based façade, with inclining elevation, causing units in this tower to range from 399.82 m2 to 436.84 m2. 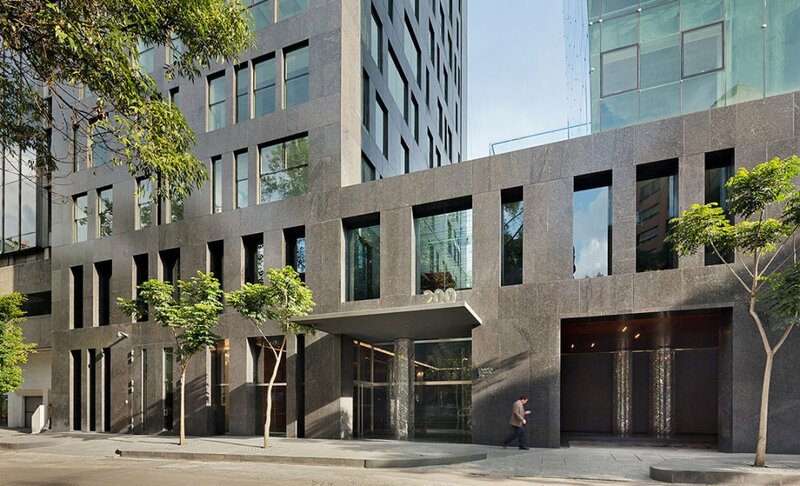 7 different types of apartments were designed for this development. 25% of the land was allocated as leisure space where a Dutch artist -Jan Hendrix- incorporated some of his monumental installations created for these spaces on a permanent basis.